Former WWE superstar CM Punk stepped into the UFC octagon for the second time at UFC 225, a card which took place in his hometown of Chicago. Unfortunately, he failed to impress the crowd and suffered a unanimous decision loss to his fellow MMA rookie Mike Jackson. He’s probably done for as a UFC fighter. UFC president Dana White was pissed off on Mike Jackson’s performance, what he perceived to be showboating, declaring during the post-fight conference. However, White praised Punk’s chin but advised 39-year-old find something else to do. “No. I don’t think he really wants a third chance,” he said via MMA NYTT. Still, White has a ton of respect for the novice fighter for actually stepping up to the plate and doing what many of his critics won’t dare to. CM Punk signed with the UFC in late 2014 after his retirement from professional wrestling. Around that time Punk had no experience competing in combat sports. He trained for nearly two years under the supervision of Duke Roufus at Milwaukee’s Roufusport gym before squaring off Mikey Gall at UFC 203, and eventually, lost via first-round rear-naked choke. Following his debut, Punk returned to the gym for another near-two-year span before ready to face Jackson at UFC 225. 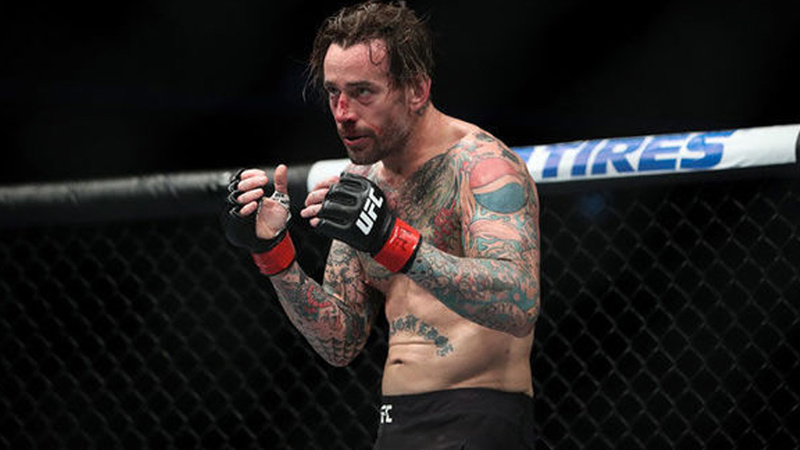 CM Punk’s Coach Duke Roufus claimed before the fight that CM Punk is ‘200 percent’ better than UFC debut but based on his training he failed to deliver. He simply isn’t a fight material why no one enlightens him about that. Punk showed big heart in his second consecutive defeat, but it was clear that he lacked the skills needed to compete in MMA’s biggest promotion. Something which UFC commentator Joe Rogan also emphasized on.